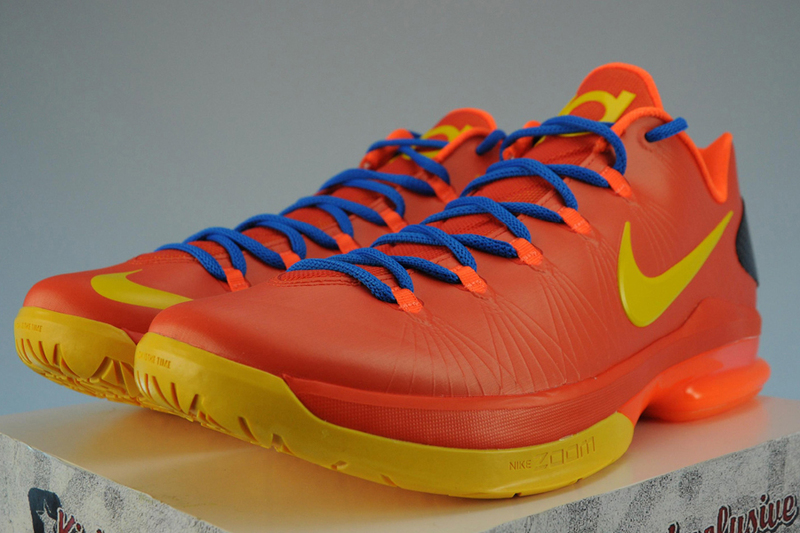 Next weekend's round of releases will also include the KD V Elite in an alternate Oklahoma City Thunder colorway. 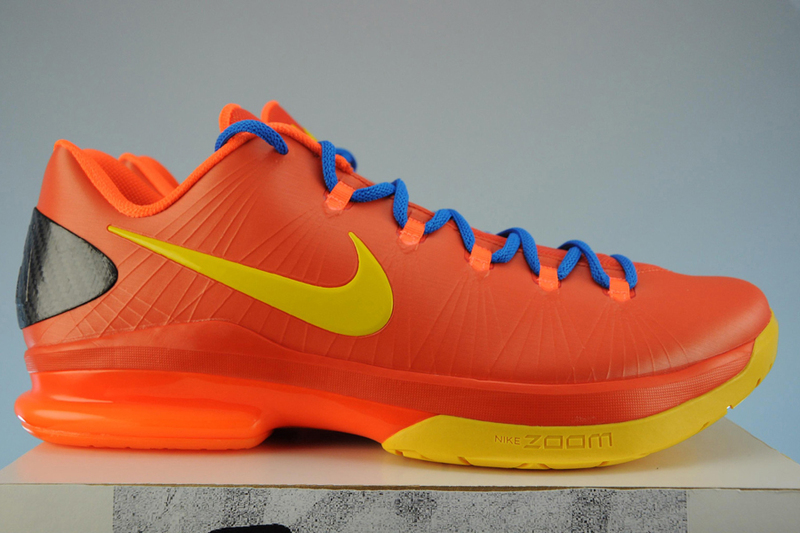 Originally set to be worn by Durant throughout the 2013 NBA Playoffs, this elite version of the KD V features an eyecatching Team Orange build. 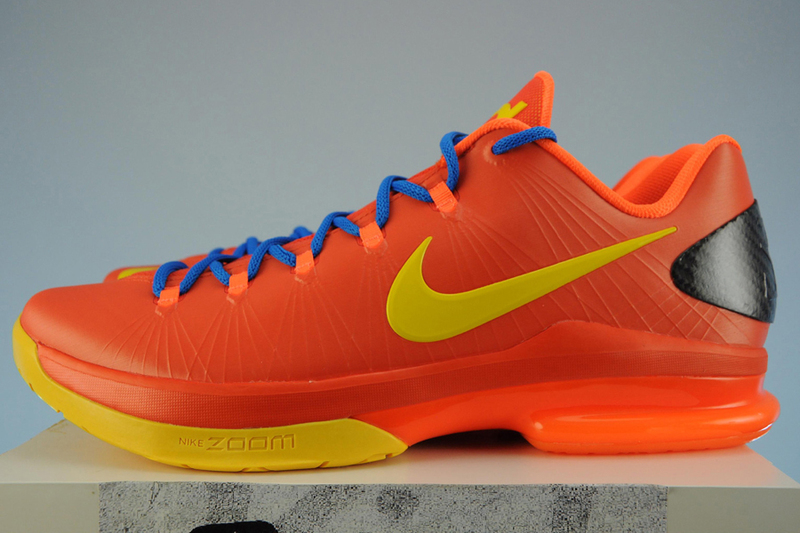 The already vibrant look for the KD V Elite is topped with hits of tour yellow over the Swoosh logos and outsole, while photo blue handles the laces. 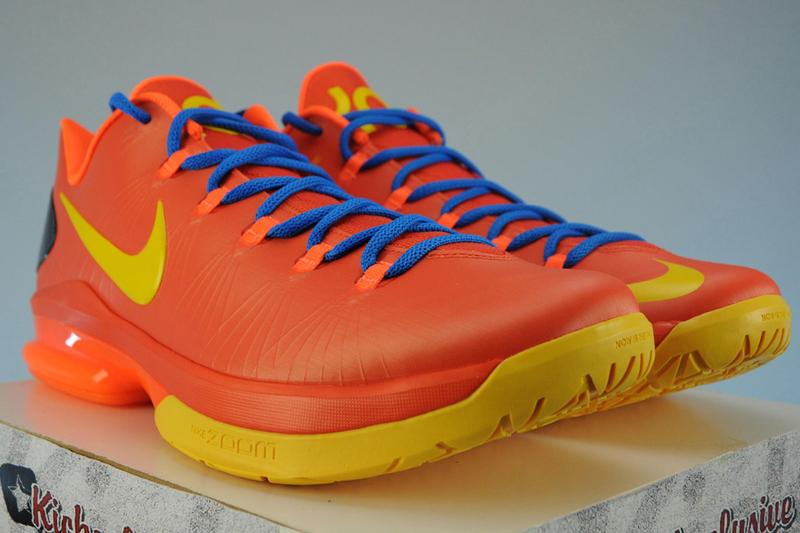 The "Team orange" Nike KD V Elite is set to release June 15th at Nike Basketball accounts nationwide.